The agreement was signed in the presence of Jammu and Kashmir Governor Satya Pal Malik and Punjab Water Resources Minister Sukhbinder Sarkaria. Jammu and Kashmir and Punjab on Saturday signed an agreement for implementation of the Shahpur Kandi dam project, which was hanging fire for several years, an official spokesperson said. “A historic agreement was signed between the state chief secretary BVR Subrahmanyam and his Punjab counterpart Karan Avtar Singh on the implementation of the Shahpur Kandi dam project,” he said. The ambitious Shahpur Kandi dam project on river Ravi is a major irrigation project which will benefit both Jammu and Kashmir and Punjab. Jammu and Kashmir is entitled to 0.69 MAF of water from Ravi and it is utilizing only 0.215 MAF, he said. The construction of 79.5 kilometer of Ravi canal and 493 kilometer of distribution network in Jammu and Kashmir has been completed, he added. 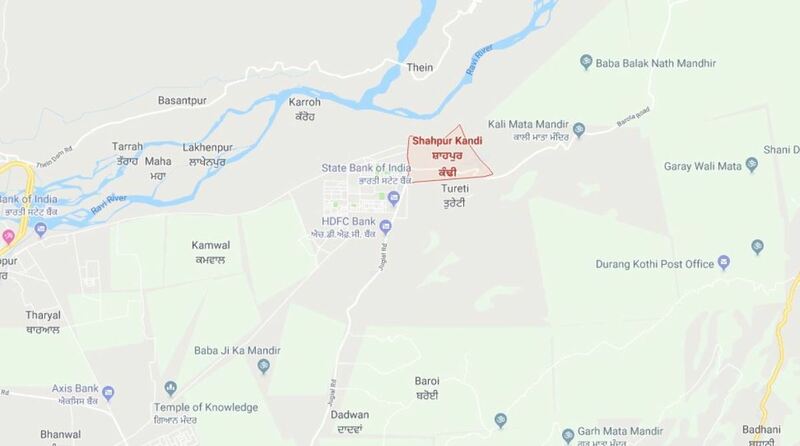 This project will immensely benefit the districts of Kathua and Samba, besides catering to some parts of Jammu district, the spokesperson said. It will irrigate 32,000 hectares (80,000 acres) of agricultural land in the Kandi areas, upstream and downstream along the Jammu-Pathankot national highway in Samba and Kathua districts. This, he added, will ensure the prosperity of the farmers in these areas and will lead to overall development of the region. The project will be completed by the Punjab government in three years and the water is expected to flow to Jammu and Kashmir by the end of 2020, the spokesperson said. According to the agreement, Jammu and Kashmir will be provided 1,150 cusecs of water under all circumstances, subject to a ceiling of 0.69 MAF as per the 1979 agreement, he said. Other significant specifics of the agreement include that the Punjab government will continue the project implementation. However, the project will be monitored by a team comprising a Central Water Commission member and chief engineers from the two states, the spokesperson said. The balance costs on account of compensation (approximately Rs 115 crore) for land acquisition for Thein dam, as per the agreement, will be paid by the Punjab government immediately, in accordance with the orders of the relevant statutory authorities under the Land Acquisition Act, he said. The Punjab government will make available to Jammu and Kashmir 20 per cent of the total power generated at the Thein dam at the rate fixed by the Central Electricity Regulatory Commission with a ceiling of Rs 3.50 per unit, with prospective effect, he said. He added that all claims and counter-claims of the two states on account of delayed implementation will be settled through arbitration as per the 1979 agreement. He saidthe most critical element which has been introduced now and which was not there either in the MoU of 2017 or the cabinet decision of 2017 is the introduction of “Joint Steering and Supervision” of water supplies during the operation of the dam. This is the safety clause which will ensure that Jammu and Kashmir is never deprived of its original share of waters and protects its interests in perpetuity, the spokesperson said.